On behalf of President Hodes and the Board of Trustees, we would like to invite you to the 2019 Legacy Gala and Auction! 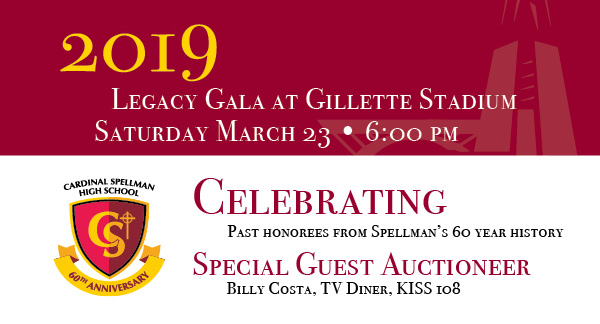 This year, the event will be held at Gillette Stadium's Putnam Club and we will be celebrating Past Honorees from Spellman's 60 Year History. The auction will be emceed by special guest, Billy Costa! You can purchase tickets and sponsorships by visiting the link below. We hope to see you there! !